Wonder why you’d ever wear a watch when you can tell time right on your smart phone? Just for the stylish fun – and our amazing price! 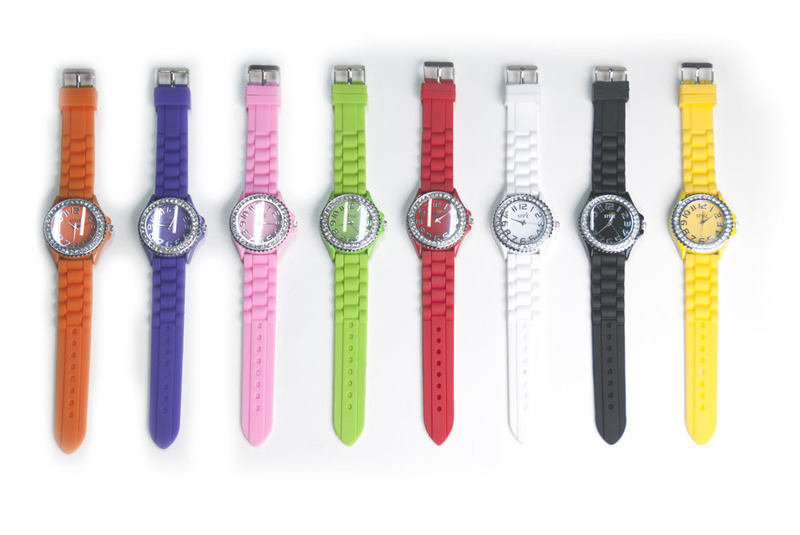 About 40 sparkling diamond-like stones surround the faces of our Time for Stylish Fun™ watches, and the faces color coordinate with the fab bands. Pick your favorite color – or two! Which color goes best with your clothes? No need to worry about your wrist size. 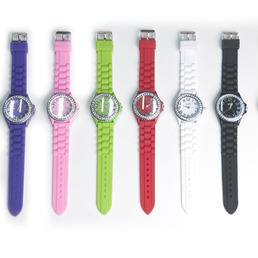 The comfortable bands are designed to fit every wrist. Our Time for Stylish Fun™ watches are made in Scandinavia. 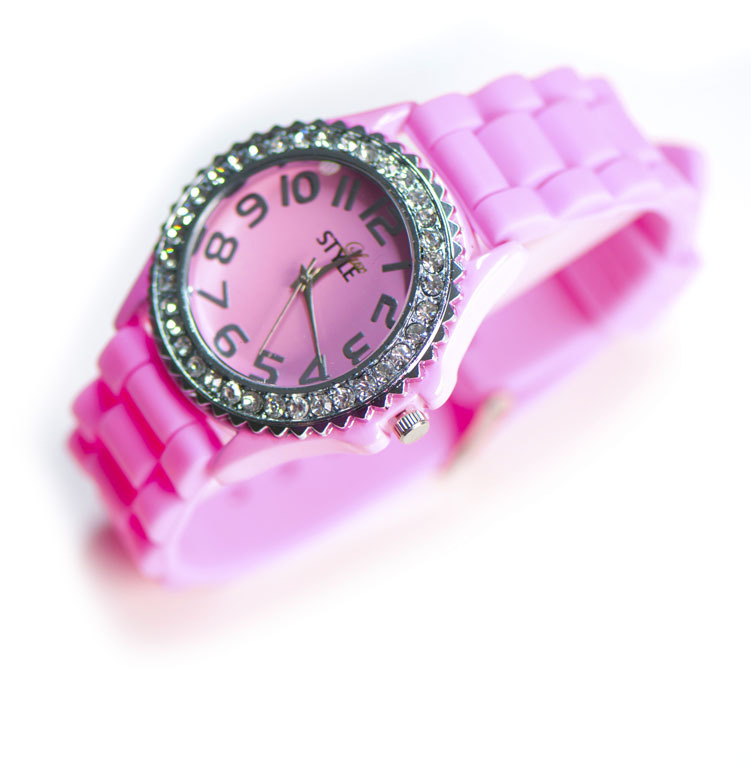 The quartz movement keeps you up to the moment, and the great look will last for years. 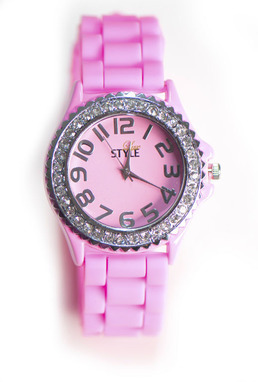 Girls all over Europe are buying our Time for Stylish Fun™ watches. They know a great value when they see one – and we bet you do, too. Buy now – for half the usual price! They’re such a great bargain some of our customers buy all five! Give the stylish look, the Scandinavian quality, and the amazing price, why not? What convined me to buy one is not just the great look but that it’s made it Scandinavia. I was so happy with it I bought two more the day I got the first one! I have a small wrist and wasn’t sure the band would fit. But it did and the watch looks great on me! Highly recommended. I couldn’t believe you could sell such a pretty watch for so little. Good thing you offered a guarantee. It gave me the courage to buy one. It works perfectly! I’m so happy I can’t believe it! 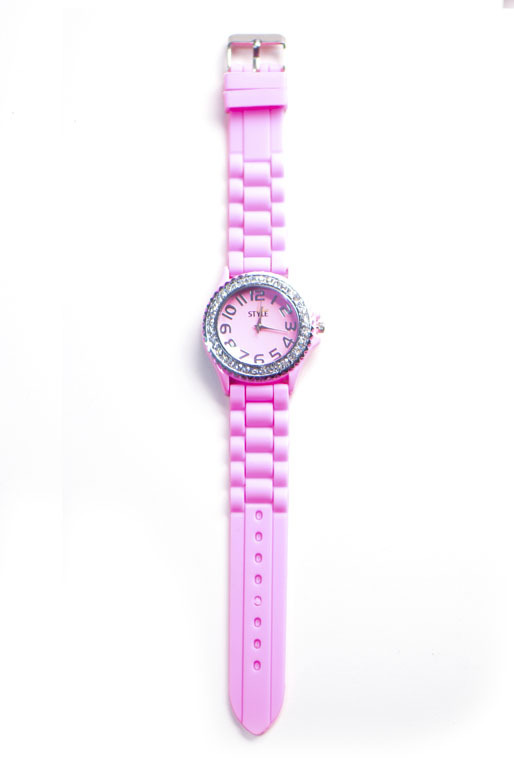 This is the most fun watch I ever owned. All my friends love the look and lots of them bought one as soon as they saw it. I love the look of my watch and can’t believe it has a real quartz movement. Just a wonderful value. Thank you!